In 2010, Esk Mapping & GIS installed a corporate GIS for Boral Timber’s Sydney and Grafton offices in New South Wales, and continue to provide GIS and mapping support. The system was implemented with ESRI’s ArcGIS 10 - Desktop Basic, and includes design and development of a central record of all Boral Timber’s Private Native Forest interests. Forests NSW, Department of Primary Industries NSW. 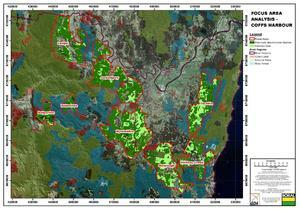 The data was processed and installed within Boral Timber’s GIS with appropriate symbology so as to provide supporting information and planning maps for Property Vegetation Plan (PVP) submissions to the Department of Environment and Climate Change NSW for approval to undertake forestry operations under the Native Vegetation Act 2003 (NV Act) on private property. Private Vegetation Plan (PVP) Template: Developed a series of standard map templates, GIS feature classes and symbology to efficiently generate PVP Sketch maps equivalent to those generated by DECCW, so as to streamline the submission and review process. 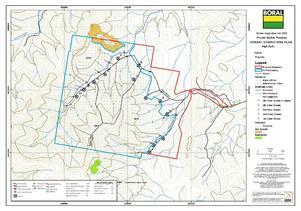 Forest Operation Plans (FOPs) Template: Developed a series of standard map templates, GIS feature classes and symbology to allow the user to quickly create and store features required within Forest Operation Plan maps, including broad forest types labels, snig tracks, landings (with IDs), stream order labels, proposed and existing roads, proposed and existing road crossing points, etc . FSC Certification Support: Provision of A0 and A3 PDF maps to support office reviews and field audits to meet FSC certification requirements. 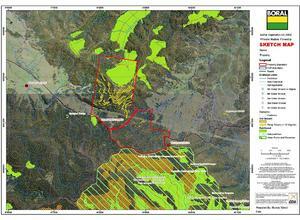 Web-Maps: Secure delivery of key Boral Timber GIS Layers via internet for display on Desktop, Smartphones and Tablets. Used to support in-field visits including GPS navigation, and provide secure viewing access to external auditors. 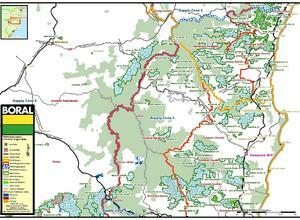 Strategic Private Native Forest Resource Review: Undertook a strategic GIS analysis to pinpoint available private native forest resource (area and volume) for the north coast of NSW, accounting for constraints relating to tenure, commercial forest types, old growth, rainforest and slope. Slope Classes: Used Manifold GIS to generate slope class maps from the Contour vector data, to determine areas which approached or exceeded the 30 degree harvesting limits. 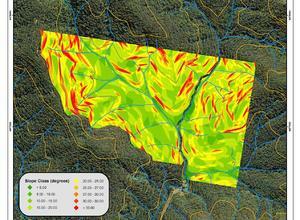 Sampling Strategy: Provide advice and technical support for the design of forest inventory sampling. Volume Analysis: Provide advice and modelling for the analysis of native forest and plantation volume growth and standing timber assessments.